Chennai for the period July–December 2017 (H2 2017). · Just 3,200 new homes were launchedthe Chennai market in H2 2017, recording 33% fall YoY and the lowest in this decade. The annual launches dropped to 4 figures for the first time as well at 9,200. · The supply crunch in the office space market eased slightly with 1.8 mnsqft coming online during 2017 but this is still not enough to stem the fall in vacancy. · Chennai recorded strong rental growth of 4.5% YoY in 2017 on the back of a supply crunch that caused vacancy levels to nearly halve to 10.2% in H2 2017 over the past two years. Speaking about the findings, Kanchana Krishnan, Director – Chennaisaid,“After showing signs of a promising recovery during H1 2017, the Chennai residential market once againhit new lows in terms of sales andsupply numbers during H2 2017.The lacklustre demand scenario inaddition to the implementation of theReal Estate Regulation Act and theGST Act led to a 33%YoY drop in new projects in H2 2017thus bringing down the annual supply number under 10,000 unitsfor the first time during thisdecade. The residential market also witnessed a drop of 86% and 56% in the half yearly launches and sales respectively, from the peak levels during H12011.Developers focussing onoffloading existing inventories during H22017 by re-launching old products atlower prices and smaller configurationswherever possible has resulted in a reduction the average asking price by 3% YoY. Affordably priced properties in less than Rs. 5 mn bracket saw the share of launches increase to 68%. Chennai office market continued to be plagued by an acute shortage of viable and goodquality office stock resulting in a 17% YoY decline intransactions volume during H2 2017and a 12% decline for the entire year.Although 2017 saw a 243% increase interms of office space supply, it is stillquite limited in comparison with theaverage transaction volumes that themarket needs to cater to.H2 2017 saw the IT/ITeS sector takeup only 0.66 Mnsqft which translatesto 25% of the total space transactedduring H2 2017, a significant andconsistent drop from 43%during H2 2016. Knight Frank LLP is the leading independent global property consultancy. 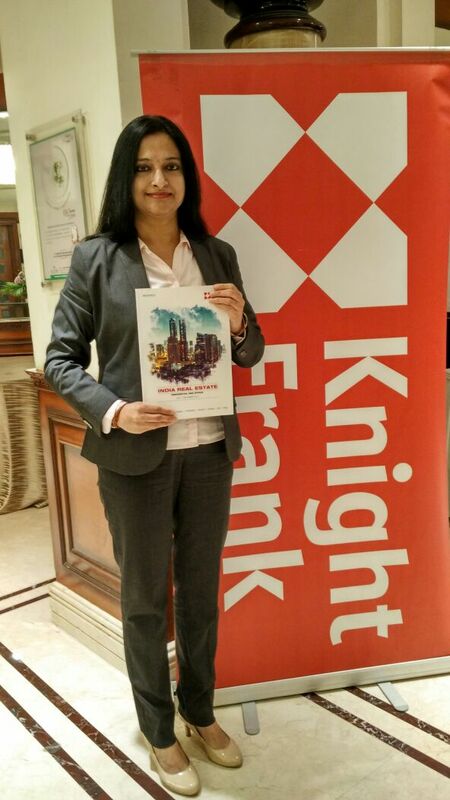 Headquartered in London, Knight Frank has more than 14,000 people operating from 413 offices across 60 countries. The Group advises clients ranging from individual owners and buyers to major developers, investors and corporate tenants. For further information about the Company, please visit www.knightfrank.com. In India, Knight Frank is headquartered in Mumbai and has more than 1,000 experts across Bangalore, Delhi, Pune, Hyderabad, Chennai, Kolkata and Ahmedabad. Backed by strong research and analytics, our experts offer a comprehensive range of real estate services across advisory, valuation and consulting, transactions (residential, commercial, retail, hospitality, land & capitals), facilities management and project management. For more information, visit www.knightfrank.co.in.